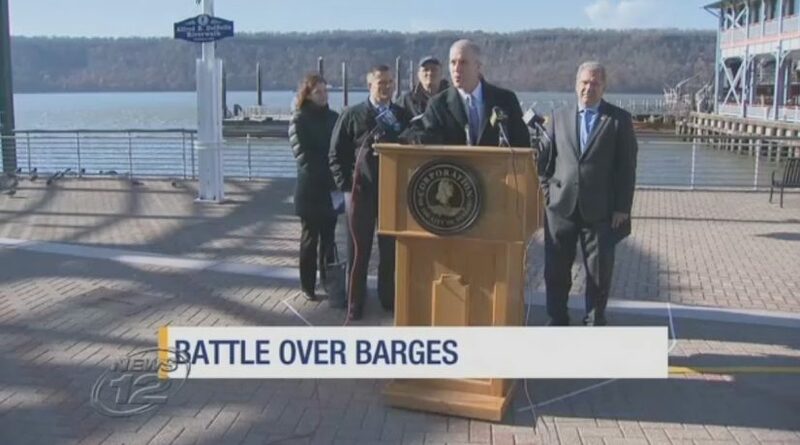 westchester.news12: Activists gathered with federal and local politicians at the Yonkers waterfront Monday amid growing concerns that the Coast Guard could come up with a new plan to install additional anchorage sites on the Hudson River. 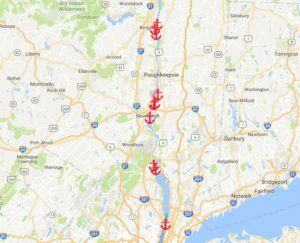 The Coast Guard had said that additional barges would allow for increased shipping of crude oil down the Hudson River from the Port of Albany, but it backed off after receiving more than 10,000 letters from local residents fearful of the possibility of oil spills and other accidents on the Hudson. Activists and lawmakers worry that there is still a proposal out there lurking in the background. “It serves notice on them that we are monitoring and watching them very carefully, and just the way we didn’t stand for their proposal before, if they put forward another egregious proposal, we will fight them again,” said Rep. Eliot Engel. Officials say it’s not clear that new barges are in a new proposal from the Coast Guard. It is expected to be released in a few months. Watch the news report. Read the comments submitted here. See letters from elected officials, towns, organizations, etc., here. Protecting the Hudson: Federal-State Partnership or Conflict? State calls Hudson River oil barge storage plan "unacceptable"
Reisman: Oil barges? Not in our back water! Just how much cargo is shipped on the Hudson?